While Fadra is off on some epic adventures, Shannon is joined by her daughter Cassie who is a super fan of American Horror Story. In this episode, we recap season 8, pick apart the plot holes, and talk about what we loved and hated. Please subscribe to Stinger on Apple Podcasts or your favorite podcatcher app. Subscribing is free and ensures you’ll be notified when new episodes are published. And if you enjoy Stinger, please rate and review us and tell your friends! Thank you for listening to Episode 36 of Stinger TV and Movie Podcast! SPOILER WARNING for all shows mentioned! 1:05 What are we watching? The Chilling Adventures of Sabrina, The Walking Dead, The Office, The Princess Switch, The Christmas Chronicles, A Christmas Prince, Fantastic Beasts: The Crimes of Grindelwald. 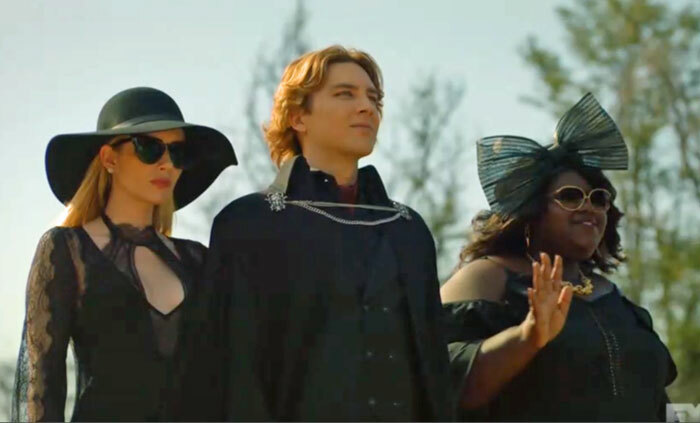 Listen in for our entertaining discussion of American Horror Story: Apocalypse.